Log cabins naturally purify air due to their log materials. Logs used in log homes have the ability to absorb carbons and regulate humidity. This is ideal for people who suffer from respiratory problems. Relaxing qualities similar to being immersed in nature. 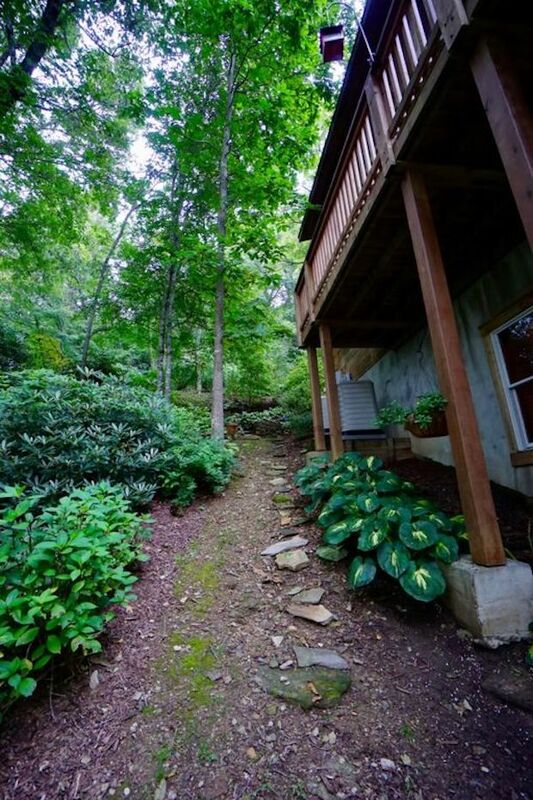 Being in a log home does make it feel like you’re surrounded by trees, right? 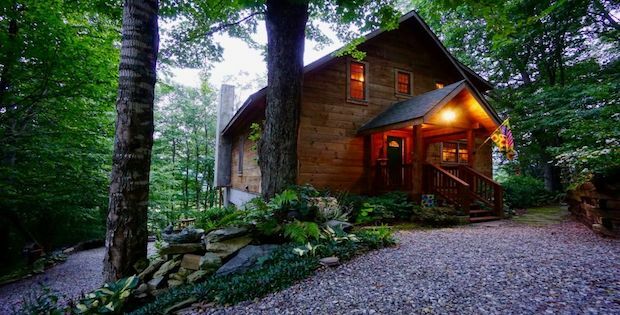 Joking aside, studies show that living in log structures does lower your stress levels. 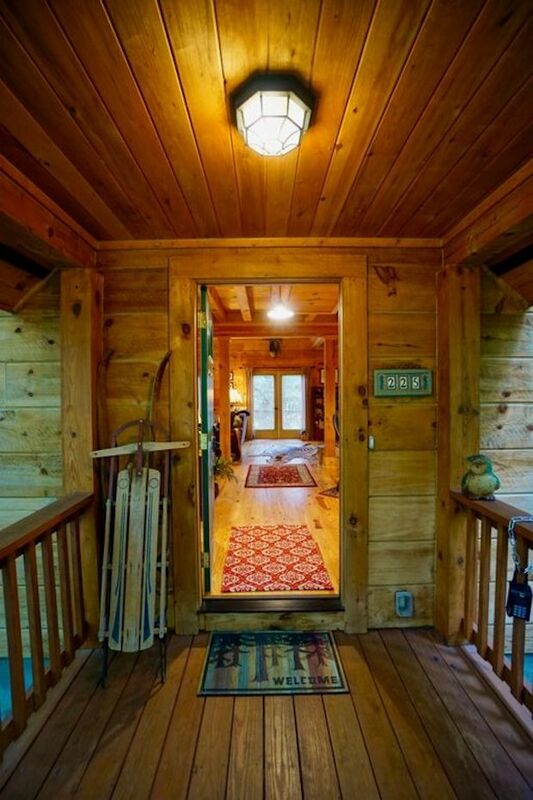 Log cabins are energy efficient. The materials used for log homes have insulating and cooling properties, eliminating the use of air conditioning or electric heaters. In fact, it’s already a standard for log cabins to come with either a fireplace or a wood-burning furnace for heating. 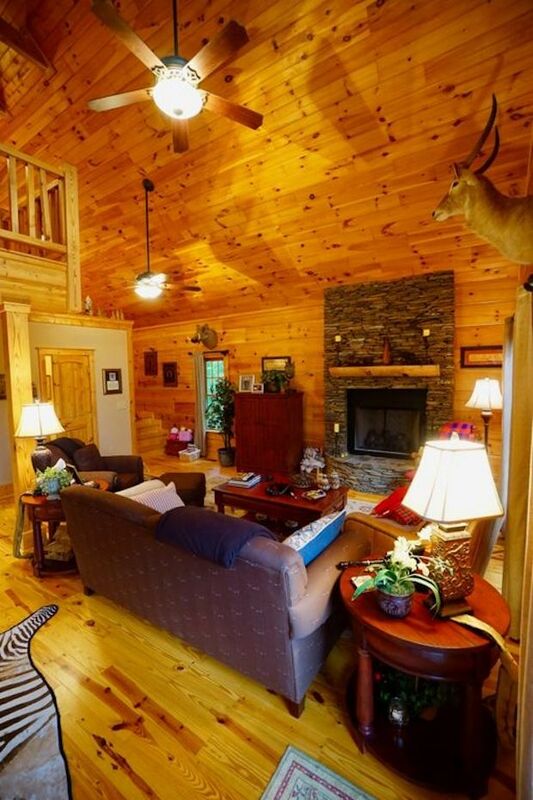 Log homes are eco-friendly. This is due to the renewable nature of a log cabin’s primary materials. 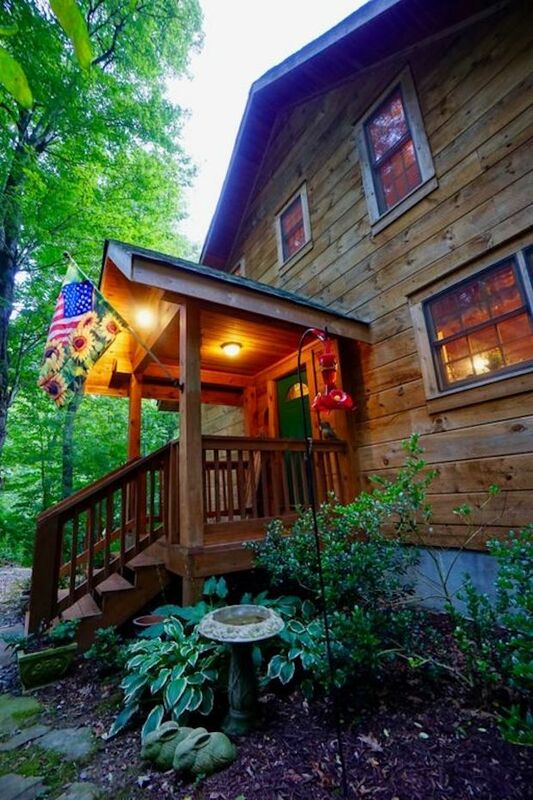 Other than that, log homes leave less of a carbon footprint as opposed to modern homes. Though a traditional design, it still maintains a luxurious feel. The log cabin is such an iconic piece of architecture. 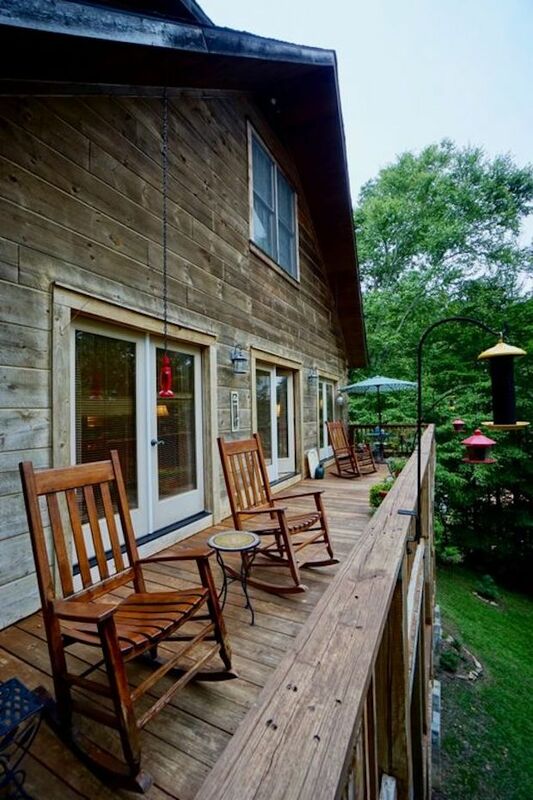 The quality of wood and materials used for log homes are also top class, ensuring the longevity of the home. 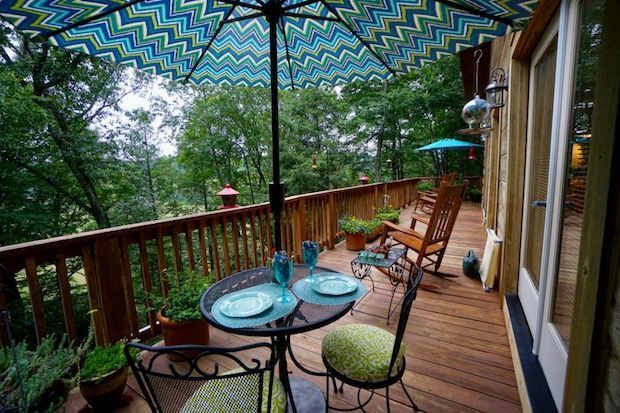 Home featured below is in Boone, North Carolina. It sold for $292,900. Step inside and see no detail was spared from 11-grade granite counter tops in the kitchen and all 3 1/2 bathrooms, stack stone fireplace and kitchen island, 4 French doors to allow access to the large upper deck, and custom ceramic bathroom tile. 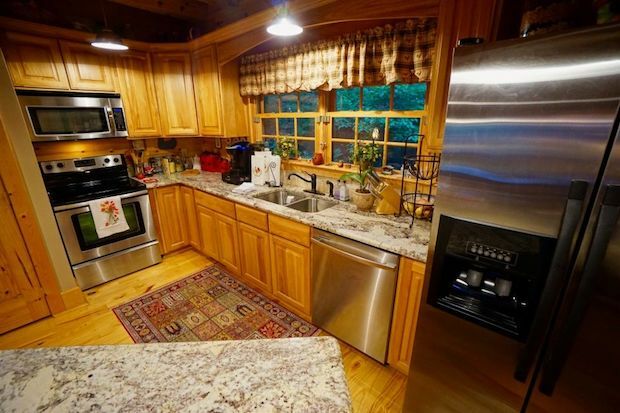 The main floor features a kitchen complete with appliances down to a mini wine cooler built into the island, a large dining area, half bath, and vaulted ceilings above the living area and fireplace.